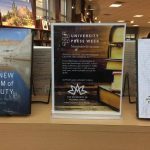 This week we celebrate University Press Week and the importance of scholarship alongside our peers in the Association of American University Presses. 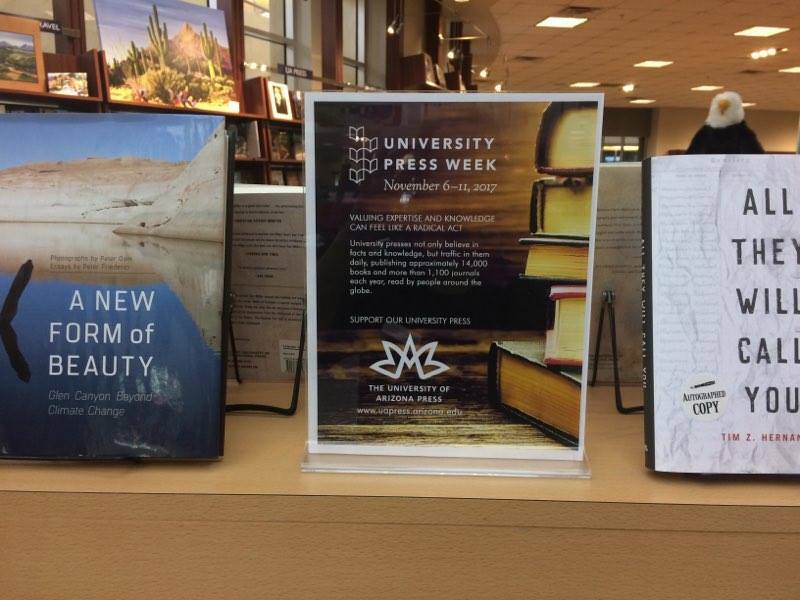 Since 2012, the Association of American University Presses (AAUP) has celebrated University Press Week each year to help tell the story of how university press publishing supports scholarship, culture, and both local and global communities. One of our greatest partners in this venture have been independent bookstores. For the past three years, we have been proud to collaborate with the University of Arizona Bookstores, Antigone Books, and Changing Hands, who have graciously built UP Week displays to showcase the diversity and far-reaching impact of our publishing program.